Many people think that humility means that we think badly about ourselves. That, however, is not what humility really is. Humility is seeing ourselves as we are. We recognize our lowliness before God. Knowing that we are not perfect, we accept the fact that we are flawed, and we trust that God will do the work in us that needs to be done (so long as we allow him to). In humility, we also can recognize our good qualities, virtues, and talents, and we thank God for these gifts. Humility is, in a sense, self-forgetful. It involves focusing on ourselves less, rather than focusing on our bad qualities. Some important things we emphasize during Lent are doing penance, practicing self-denial, giving to others, and repenting of our sins. These are all ways to cultivate humility. We focus less on ourselves and more on others. We turn to God seeking his grace to help us become more virtuous. The Litany of Humility is a prayer than invites God to give us the grace we need to grow in humility. It is a way of reminding us of what humility is. Praying the Litany of Humility is often very difficult, because it is very hard to let go of ourselves and put others first. However, in its very difficulty, it can be a powerful prayer to bring us closer to Christ. Do you constantly worry about what others talk or think about you? Do you ever feel frustrated or empty when you’re not the center of attention? 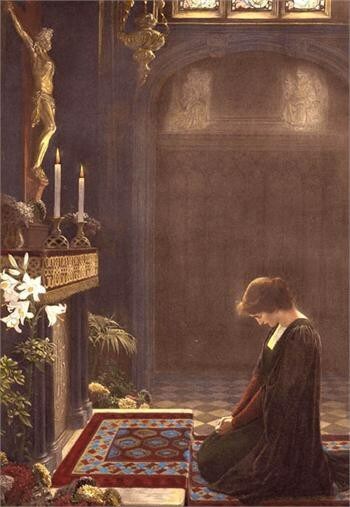 The Litany of Humility is all about our Lord assisting us in humbly following in his footsteps and taking aside, or at least offering up to Him, all those fears and doubts that come when we are self-centered. Although this prayer is wonderful to pray regularly, it is an especially poignant prayer and meditation for the Lenten season. Our ultimate example in humility is our Savior Jesus Christ, who willingly suffered in silence on our behalf each one of the things listed in this litany. Some of the lines in the Litany of Humility may seem unhealthy to modern ears. Therefore, it is useful to examine these petitions in more detail to see what they really mean. For example, human beings are created for love. We are created to love others, and our desire to be loved is part of being human. That is why God said that it was not good for Adam to be alone. The Litany of Humility does not mean that we are supposed to be isolated and not care at all about having loving relationships. Instead, it means that we shouldn’t desire excessive love. We should want people to love us in a healthy way rather than always seeking more and more to an unhealthy degree. It is normal for us to want people to seek our opinion, to prefer us to others, and to approve of and praise us. While this is normal, these desires can be unhealthy. Ultimately, what matters is that we decrease and Jesus increases, as John the Baptist said (John 3:30). Decreasing in the eyes of other people allows Jesus to increase in us. Just think of the peace that can come if we truly desire the things we pray for in this Litany, and if we are truly freed from the fears mentioned in the prayer! We can spend so much time worrying about what other people think of us, and this can steal our joy. When we start to consider first of all what is good for others, regardless of what it brings to our own reputation, we are less distressed when we do not get the recognition we feel we deserve. 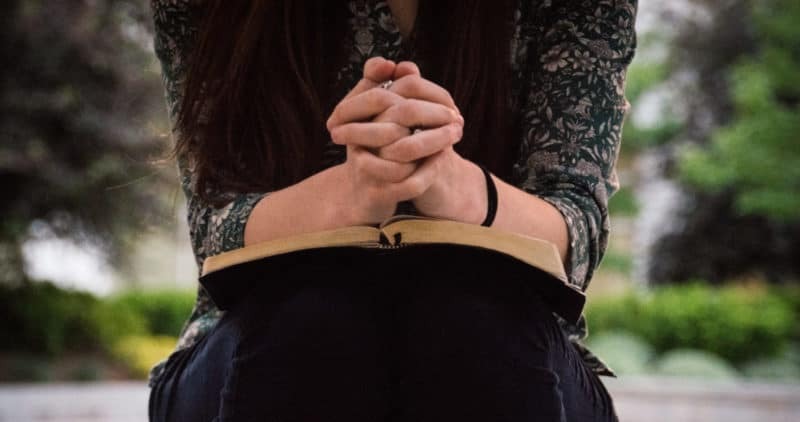 Ultimately, while the Litany of Humility can be difficult to pray, it is about finding freedom and peace in God instead of relying on other human beings for our happiness. Jesus Christ Himself gave His life for us in the most poignant example of humility that we can imagine! The Creator took on our flesh and our sins for our salvation, to be born in a manger and die on a cross between two thieves! As St. Paul once wrote, “he emptied himself, taking the form of a slave, coming in human likeness; and found human in appearance, he humbled himself, becoming obedient to death, even death on a cross. Because of this, God greatly exalted him” (Phil 2:7-9). The last petition of the litany of humility strongly suggests what holiness includes: loving God and neighbor above all else, putting others’ needs before ours. We are not to worry how we “rank” in godliness. Otherwise we might as well be like the Pharisees our Lord scorned who took more delight in the trappings of religion, rather than in love of God and neighbor, so that “all their works they do in order to be seen” (Matt 23:5). This Lent, may we pray to receive a true spirit of humility. When Easter comes, may we be closer to God, and may God be greater in our lives than he was on Ash Wednesday.